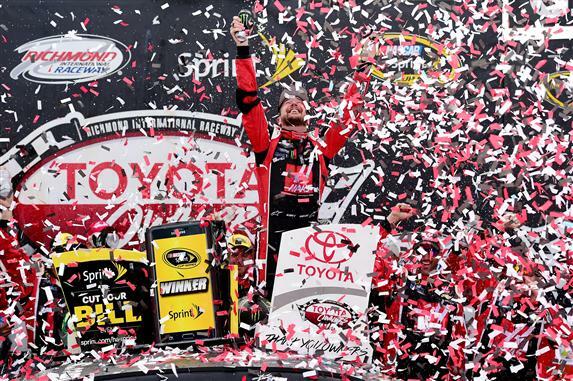 Last April, Kurt Busch led 291-of-306 laps in the Richmond spring race on his way to a dominant victory. The No. 41 Chevrolet driver will attempt to defend his victory on Sunday after finishing third last weekend at Bristol. In 30 Richmond starts, Busch owns two wins, six top fives and 11 top 10s. He enters Sunday’s contest riding a two-race top-10 streak. Busch currently ranks ninth on the Chase Grid on the strength of two top-five and six top-10 finishes.